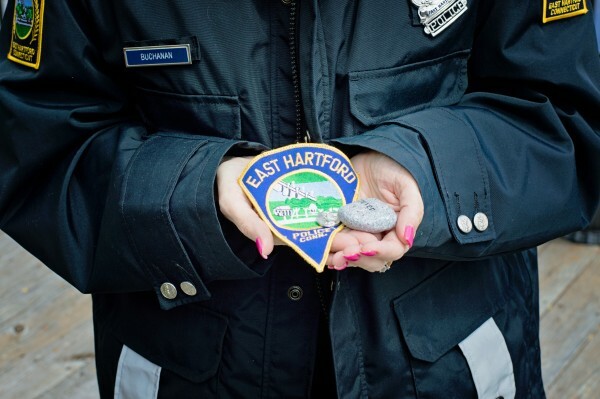 I’ve often thought about the difficulty I had finding help while my husband, East Hartford Police Officer Paul S. Buchanan, was feeling depressed, anxious and in crisis during the fall and winter of 2012. We didn’t know who to call or where to turn. Paul looked to me to help him. He died by suicide on March 12, 2013 at the East Hartford CT Police Department. Looking back, I wish that there was more that I could have done for my husband. What we needed was the right information, resources, doctors, and options. Paul should not have ever felt fearful about sharing the truth about what he was going through. He should not have feared seeking help; and, most importantly, it should have been an easy process. I remember searching for numbers in the phone book, trying to find a psychiatrist and searching websites for local resources. He had already tried one visit with EAP, which for Paul was not helpful. I called our medical insurance company for assistance in getting the names and numbers for psychiatrists. When calling local psychiatrists’ offices, we were turned away with “we aren’t accepting new patients“, “the earliest appointment is in six weeks“; “leave a message at the beep“, etc. My husband felt hopeless. He needed assistance now, not in six weeks. When I finally did find a psychiatrist willing to see him, it was two weeks out. When I called local hospitals about mental health information and tried to find out about how to get help for my husband, I was asked every time if my husband was going to hurt himself. They basically said that he would have to say he wants to hurt himself in order to get help instantly. He would be seen right away. He would then be committed and confined to a hospital for a period of time for evaluation. My husband refused to listen to me and would have no part in doing that; he would not let me take him to the local hospital because he feared he would lose his job once he admitted how he was suffering inside from job stressors. He also feared that someone he knew might see him or find out. And, so, we waited for two weeks for his appointment with the psychiatrist. EAP? Even EAP information was not easy to locate. If first responders are going to use EAP, it should be a mental health provider that has experience working with them – not someone who does not know what it’s like to be a LEO. Unfortunately, EAP is not a trusted resource for many when it should be. There is a fear that your visit will be reported to your department. Peer Support? I didn’t even know what Peer Support was and that it even existed. I had no names or information about this program. How come families are not given information about this type of support? Why aren’t the names of the peer support team members listed on the department’s website? Police Chaplain? Where do I find one? Is there one that is local that I, as a family member, could have called? Surely, they would know how to help. 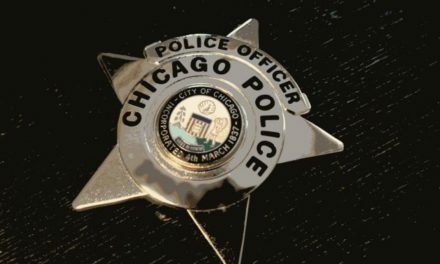 A local psychiatrist with a background in assisting LEOs? Where do I find that information? Where do I find someone that will take an appointment within 24 hours? Why is it so hard to find a psychiatrist? When you are in crisis, you cannot wait six weeks. Retreats or treatment centers? Do these exist for first responders that are struggling? Are there any local ones? What is the cost? Does insurance cover this? First responders and their families need this information. 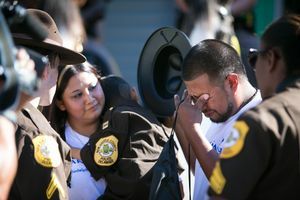 I know from all the emails and responses that I have received along this journey that our LEOs are struggling silently. They have told me so. If we want to help them and their families, we must offer them an easy way to get the local resources that they need at any moment. Perhaps having this local information available at all departments could be a first simple step in helping our LEOs. Do this for our officers; do it for their families. Finding help should be EASY. NextOvercoming an ASI – Protect and Serve!